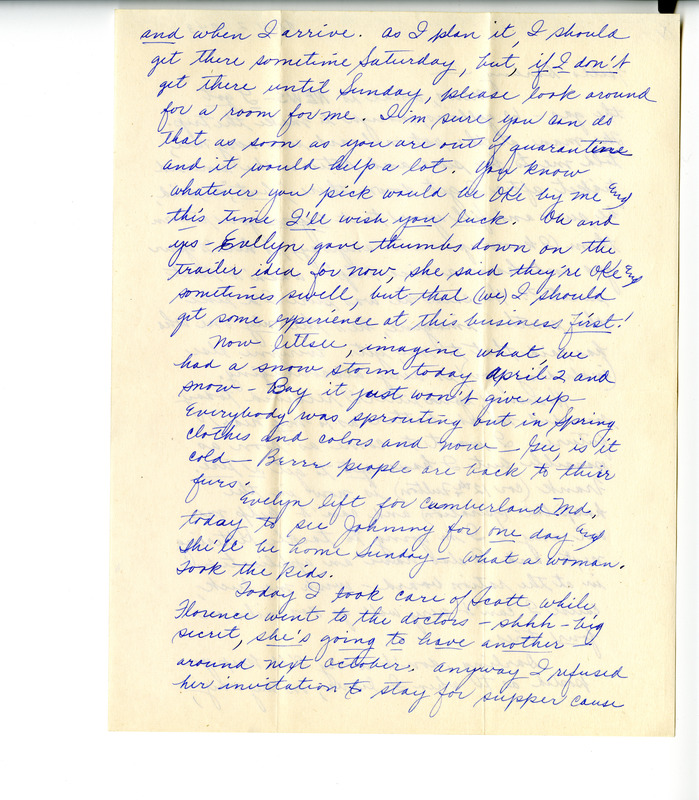 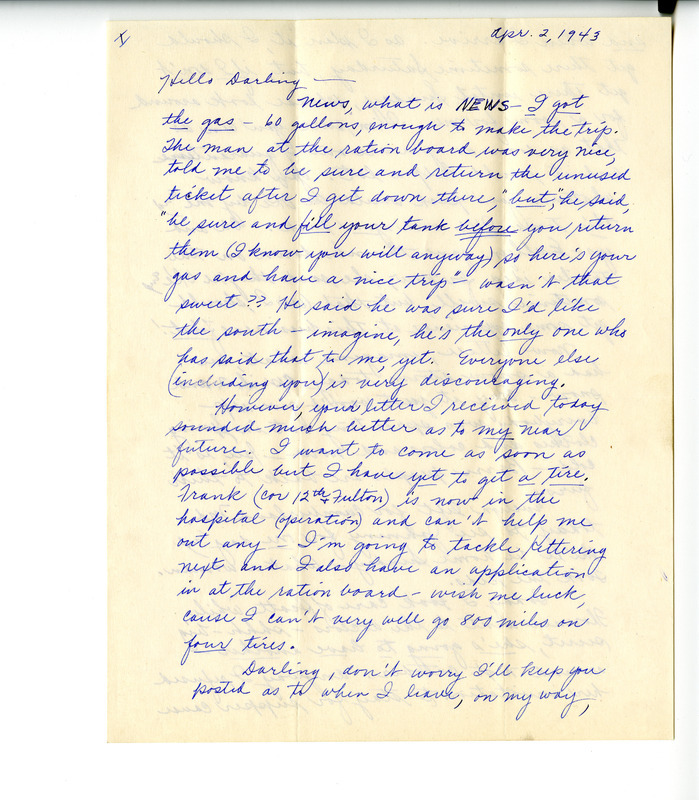 Jane writes to Emmett about happenings back at home in Ohio including rationing applications, friends and family affected by the war, and her own personal hope in reuniting with Emmett soon. 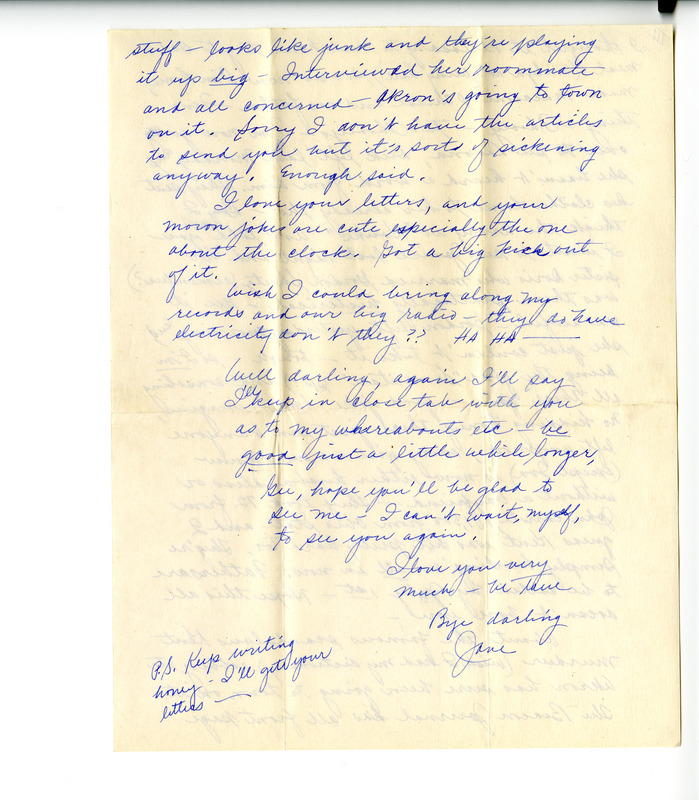 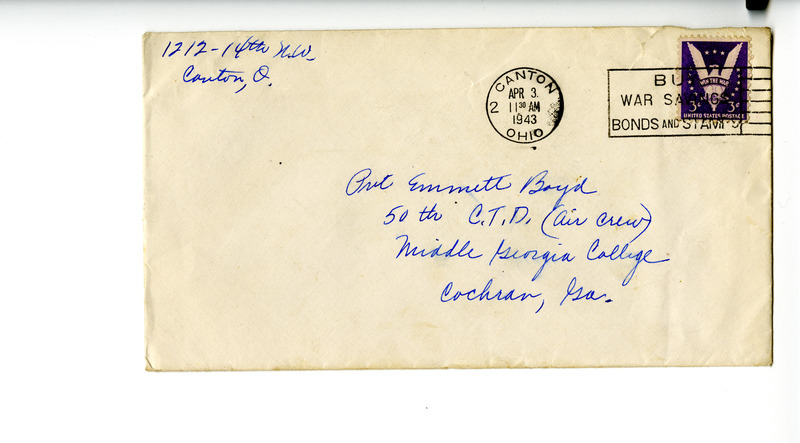 “Correspondence: Jane [Boyd] to [Emmett Boyd]: Apr. 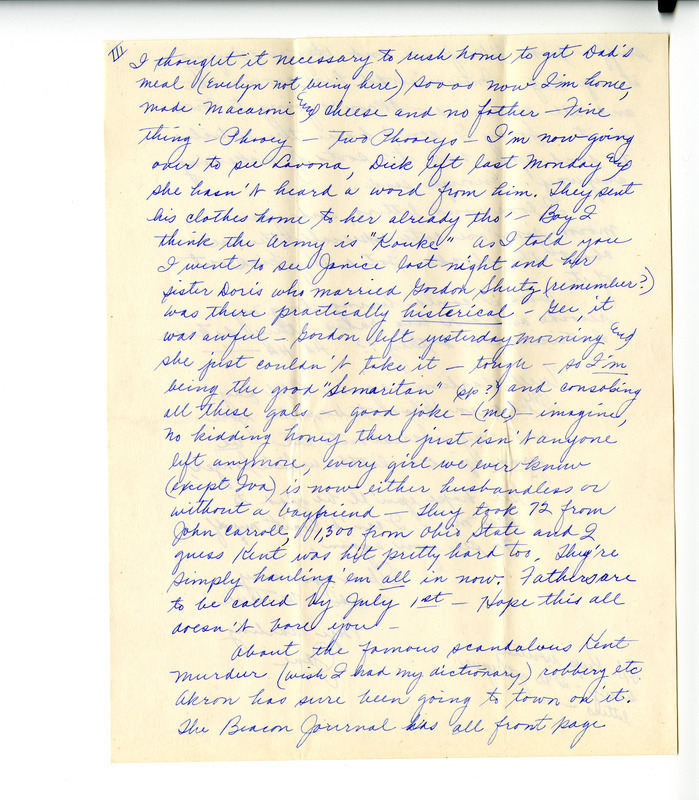 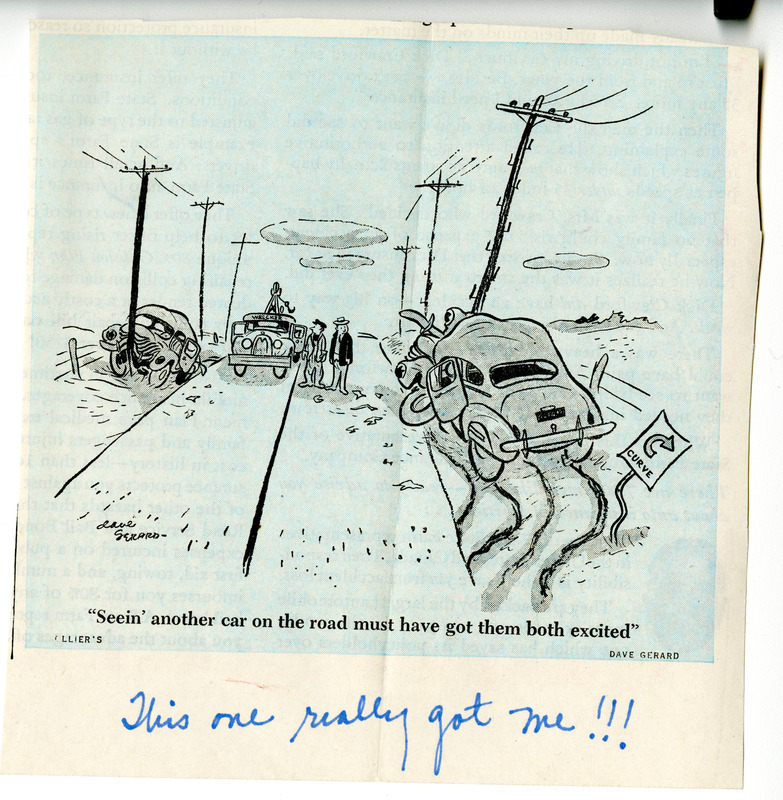 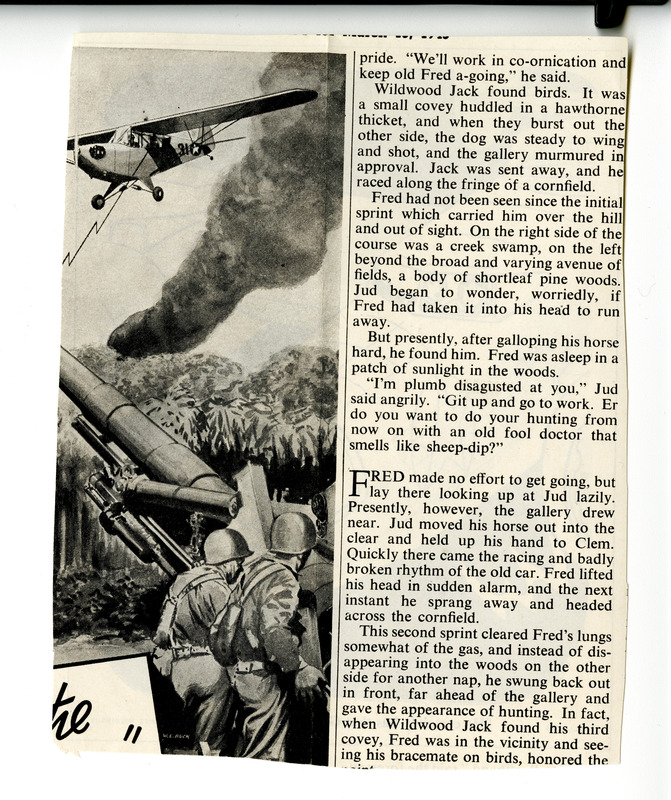 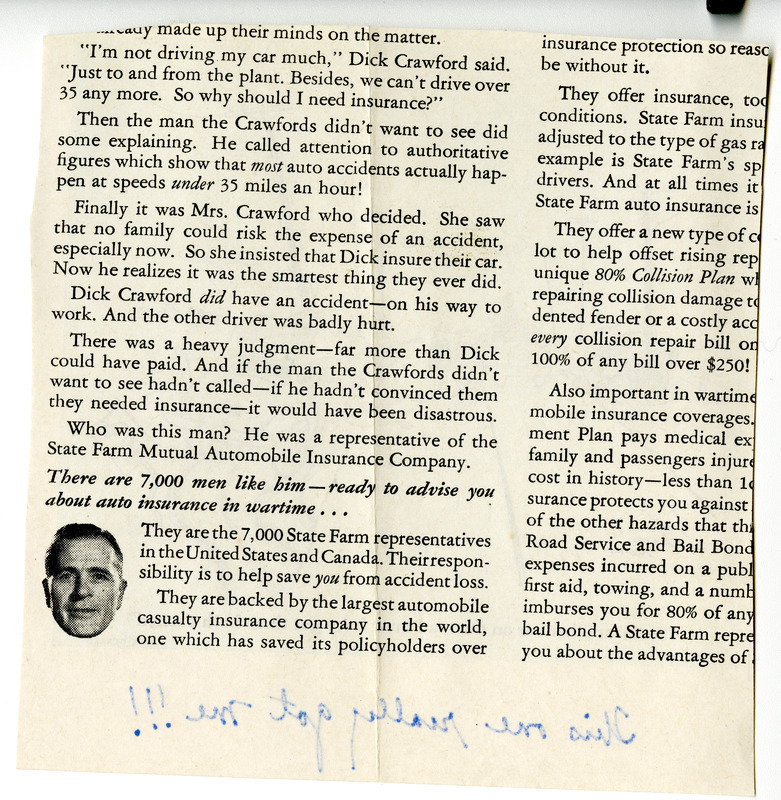 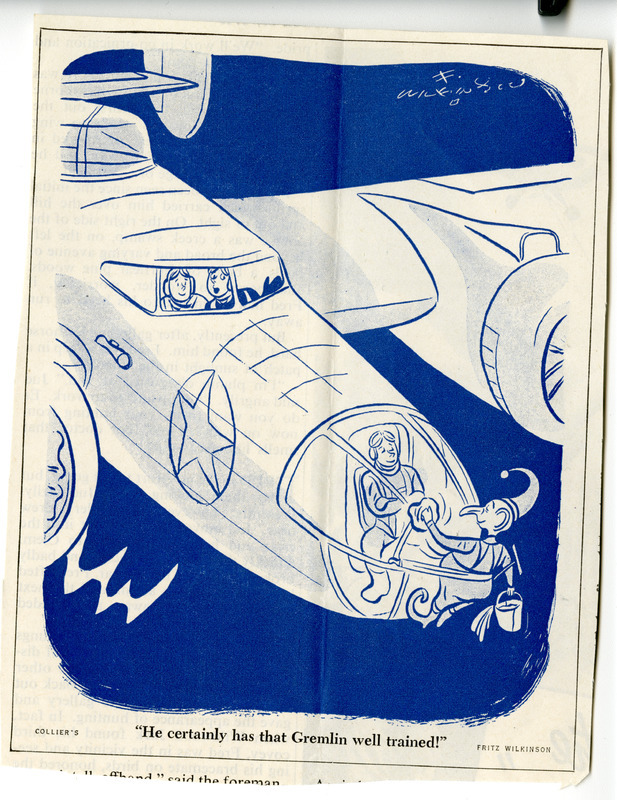 2, 1943,” Meeting Jane and Emmett, accessed April 19, 2019, http://meetingjande.net/items/show/6.